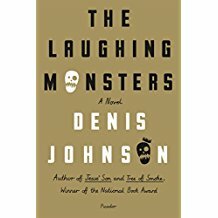 At the start of most years, soon after I finish my annual New Year’s Day reading of The Great Gatsby, I often find myself thinking about Denis Johnson. I can’t explain it. All I know is that, for whatever reason, with the turn of each calendar year, I want to inhabit the world of Johnson’s voice. 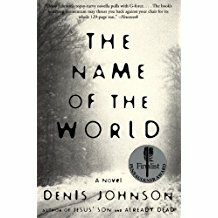 It’s not that, as Jonathan Franzen writes, “The God I want to believe in has a voice and a sense of humor like Denis Johnson’s.” There’s something else going on, something humane, not to mention seductive about Johnson’s world. "It’s late September and the Liberian civil war has been stalled, at its very climax, for nearly three weeks. The various factions simmer under heavy West African clouds. Charles Taylor and his rebels are over here; they control most of the country and the northern part of the capital, Monrovia—the part were the radio station is, and many nights Taylor harangues his corner of the universe with speeches about who he’s killed and who he’s going to kill, expectorating figures with a casual generosity that gets him known as a liar, referring to himself as 'the President of the nation' and to his archrival as 'the late Prince Johnson.' Meanwhile Prince Johnson, very much alive, holds most of the capital." Before I know it, weeks have passed, and I haven’t even thought about reading anyone, anything, else. Once you enter Johnson’s world, it’s difficult to leave. He continually finds new ways to welcome and embrace you. Then he keeps on giving. Consider another opening, this one from the wonderfully titled novel Resuscitation of a Hanged Man, about Lenny English, a drifter recovering from attempted suicide who finds work in Provincetown as a disk jockey/private detective. "He came there in the off-season. So much was off. All bets were off. The last deal was off. His timing was off, or he wouldn’t have come here at this moment, and also every second arc lamp along the peninsular highway was switched off. 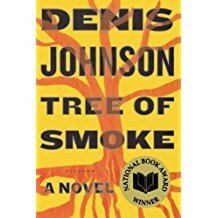 He’d been through several states along the turnpikes, through weary tollgates and stained mechanical restaurants, and by now he felt as if he’d crossed a hostile foreign land to reach this fog with nobody in it, only yellow lights blinking and yellow signs wandering past the car’s windows silently." "Who should be pouring drinks there but a young woman whose name I can’t remember. But I remember the way she poured. It was like doubling your money. She wasn’t going to make her employers rich. Needless to say, she was revered among us. … The Vine had no jukebox, but a real stereo continually playing tunes of alcoholic self-pity and sentimental divorce. 'Nurse,' I sobbed. She poured doubles like an angel, right up to the lip of a cocktail glass, no measuring. 'You have a lovely pitching arm.' You had to go down to them like a hummingbird over a blossom." Write naked. That means to write what you would never say.